January | 2017 | LIT.GAZ. Lots of talk about refugees and migrants everywhere at the moment has had me thinking about writers who have had to leave their countries. People flee their countries because their lives are endangered, or they move voluntarily because they hope for a better quality of life elsewhere. These reasons are very different and it would be helpful if people and politicians differentiated. I cast my eyes over my bookshelves. I know my library is a personal collection, and therefore not representative, but the first thing that struck me was that all the writers I recognised as exiles were twentieth century ones. That says something about our times, I feel. James Joyce didn’t need to leave Ireland, but he found his native land so restrictive and suffocating mentally and creatively that he left, for good. The closing pages of A Portrait of the Artist as a Young Man show us Stephen Dedalus coming to this decision. Similarly Witold Gombrowicz’ life in inter-war Poland was not in danger, yet he also found it restricting and oppressive, and took himself off to Argentina – luckily for him, just before the start of the Second World War. Both Hitler and Stalin set out to eliminate Polish culture and intellectual life, and made considerable progress. The Soviet Union had rather longer to attempt to regiment cultural and literary life than the Third Reich, and most of the writers I noted in my examination of my bookshelves came from the Soviet Union or Eastern Europe. Aleksandr Solzhenitsyn is probably the most important one to mention, at least in the sense that he became a cause celebre in the 1970s. A political thaw allowed One Day in the Life of Ivan Denisovich to be published in the Soviet Union and it was a sell-out. But that was it; important novels such as The First Circle and Cancer Ward circulated internally as samizdat publications, and when smuggled out to the West and published openly, caused serious problems for the writer; after the publication of The Gulag Archipelago, a detailed history and chronicle of Stalin’s labour camps, he was branded an anti-Soviet writer and eventually forced into exile. He ended up in the US and gradually faded into obscurity, cut off from his homeland. And he was an anti-Soviet writer, which is why the US welcomed him. The Russians wouldn’t have killed him, but his life would have been endangered by a prison sentence. The Warsaw Pact invasion of Czechoslovakia saw Milan Kundera and Josef Skvorecky eventually leave, the former for Paris, the latter for Canada. So strict was the repression under Gustav Husak that many artists ended up in menial jobs, and some in jail; again, no death sentences because the West was watching, but death sentences as writers. The same was true of the Polish writer Czeslaw Milosz, who served the communist regime for a number of years before fleeing to the West. Writers in Eastern Europe increasingly wrote ‘for the desk drawer’ – as in, wrote and put away what they wrote, knowing it would never be printed – or took the risk of reprisals by smuggling their work out to be published in the West. What I draw from this is that the question of migrants/ refugees/ asylum seekers is a very complex one: very often it’s a quest for freedom. 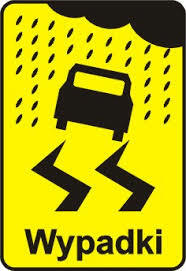 Clearly, some people are in danger of death if they don’t leave; many are not. A lot are seeking a better life in Europe. One thing does seem blindingly obvious to me though: if we in the West weren’t so quick to attack/ bomb/ invade/ colonise other countries, then their inhabitants might well be rather happier staying at home. Which is what quite a lot of the hoo-hah is about, isn’t it? Antony and Cleopatra is a later play than Julius Caesar; it’s also longer and more subtle, and it has real human interest: the characters and the characterisation draw us in and engage us. The infatuation of Antony with Cleopatra is convincing, as is their flirting and their quarrelling: the portrait of an ageing man torn between duty and pleasure, between resolve and weakness, is brilliantly drawn. 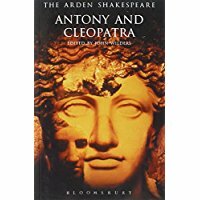 Beautiful poetry, haunting images support and enhance the pair’s relationship, fleshing out character, and their entourages further develop the picture: Cleopatra’s women, and Antony’s close friend Enobarbus are an integral part of the play. The other thing that’s hard to notice unless you are aware of it and deliberately look out for it – and it will be clearer in performance, I’d imagine – is how little the pair are actually together onstage. In Shakespeare’s time, Cleopatra’s role would have been played by a boy, of course (she refers to this in one of her final speeches when she imagines the horror of being part of Caesar’s triumph in Rome) and the last thing that Shakespeare would have wanted would be for his couple to look ridiculous. So, the passion is largely created by what the two say about each other when they are apart – it’s then that their feelings for each other are strongest, whereas when they are together the relationship is stormy, to say the least – and through what other characters say about them and their relationship, particularly Antony’s friend Enobarbus. When you look out for the way Shakespeare has managed it all, you have to agree the achievement is brilliant. In their political and military defeat, the ties between them, and their love, grow stronger in spite of their mutual recriminations; now they only have each other, and are inseparable, even by Caesar, for this is another twist Shakespeare adds to the power of their relationship: how calculating is Cleopatra? is she playing a double game? will she come to a deal with Octavius? As an audience, I suggest that we desperately hope not: we are involved, and we want this to be real love, and love to die for, which in the end it is. And Shakespeare produces some of his most sublime poetry to show it. 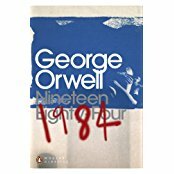 Suddenly, George Orwell’s Nineteen Eighty-four is back in fashion, and particularly for its focus on the abuse and manipulation of language. But before we get into all that, a few reminders are also timely: it’s not a book about the dangers of communism, as many think. Orwell was writing in the immediate aftermath of the Second World War, and his target was totalitarianism of all colours, states where there was no rule of law, and where all information was under tight government control, where the lives of citizens were strictly regimented in the service of the state. One thing which eludes many of today’s commentators on Orwell is the obvious fact that 1984 has been and gone, and its nightmare world has not come to pass. At one level, I’m stating the blindingly obvious, but you had to be alive and a reader of the novel before 1984 to know and understand its full prophetic power all those years ago. And in those days, there were totalitarian states aplenty, both in Eastern Europe, but not forgetting Franco’s Spain, Salazar’s Portugal and Pinochet’s Chile. A good deal of the novel’s power to scare has been lost in the thirty-three years since that ominous year. 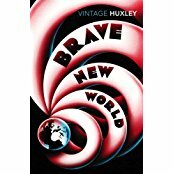 The dangers facing our world are rather different more than seventy years later, and social stratification, consumption and hedonism as ways of controlling people, as portrayed in Aldous Huxley’s Brave New World are rather more likely to be realised. Certainly the genetic manipulation necessary to produce the different social castes of the novel are well within the capacities of today’s scientists, as Michel Houellebecq noted in his novel Atomised, which tangentially considers some aspects of Huxley’s masterpiece. It seems to me that Orwell on language, truth and manipulation is much more relevant. And let’s not get misled by the ‘alternative truth’ offered by Trump’s idiot advisor. Orwell doesn’t show us any alternative, which implies different versions between which a choice is possible. In the Ministry of Truth, Winston Smith is in the business of creating replacement truth, with then becomes the only truth through the eradication of every vestige of the previous truth. And memory has nothing to do with truth; memory is deadly dangerous. This replacing of one truth by another is carried out whenever necessary: truth becomes fiction and one’s compass is lost. The danger to us today lies in our media, which is not narrow and state-controlled, but rather so wide, so amorphous and so focussed on triviality that it swamps truth and the search for it, blurring the boundaries between news and entertainment so that everyone – or enough people, anyway – are so totally disoriented they haven’t a clue about important issues, how to vote, or the consequences of their vote… A good deal of the manipulation is deliberate: the media are controlled by big business who increasingly render governments powerless because business is transnational. Language has always been abused, and Orwell is good on this in his essays, which are often overlooked. Governments and politicians of all types, democratic and authoritarian alike, twist words and give them new meanings – collateral damage = killing innocent civilians, friendly fire = killing your own troops by mistake – examples abound. I think that the advertising industry has a great deal to answer for here: they have led the way in abusing the language in order to sell stuff and make money, and politicians were quick to follow suit. Julius Caesar often seems rather dull and worthy; that’s certainly the reaction of most people when I mention it. It does lack the intrigue of the great tragedies; true, there’s the conspiracy to murder Caesar but it’s the matter of a night’s work and never really threatened with betrayal or failure. A dramatist is constrained a little when dealing with ‘proper’ history, although Shakespeare does play fast and loose with plenty of details. Neither are there any characters for us to really warm to – even Brutus, though noble, is too naive, and the play is basically an all-male play, interrupted only briefly by brief appearances from Portia and Calphurnia. Whose play – whose tragedy – is it really? Though it’s named after Julius Caesar, he’s dead before the play is half done, and Brutus is the one whose story we’re really meant to be following and interested in. Disinterested, honourable, unsuspicious, the naive idealist manipulated by Cassius, flawed in his short-sightedness and over-confidence, his lofty motives are submerged in the dirty dealings of real politics. The contrast with Cassius is too obvious: thinker-philosopher against envious manipulator. Which brings us on to the sequel, which I’ll be reading next. 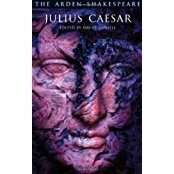 The flaws of Julius Caesar – and I don’t think it’s that bad a play – are those of any chronicle or history play: the action is linear, and circumscribed by fact (Shakespeare is no Donald Trump) which means that the major interest has to come from characters and their interaction, rather than plot, and this play doesn’t really have them. The struggle between the ambitious Octavian and the ageing Mark Antony, and the intrigues of the wily Cleopatra are something else, though, and there are even some interesting minor characters – who could not warm to Enobarbus, for instance? It’s a new genre of writing: apart from St Augustine’s Confessions, no-one else had told the story of their life and development – autobiography, if you like – in such a way; Montaigne includes a good deal of biographical material in his essays, but not in a structured, CV kind of way. 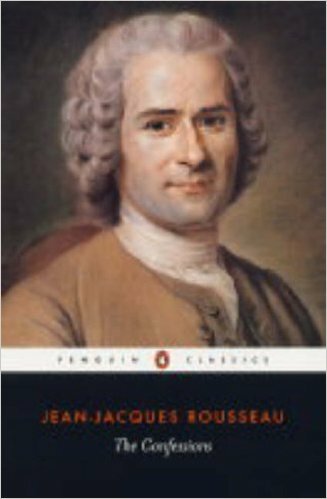 Rousseau has an astonishingly detailed memory and pretty good recall of names and events from his past; he demonstrates great sensitivity towards his own and others’ feelings, and a frankness in writing about his rather curious sexual adventures that I hadn’t expected from that era (and then I remembered Diderot’s Memoirs of a Nun!). 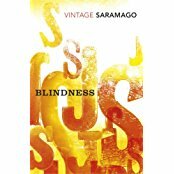 He recounts his own sins, and shameful acts, with great honesty, even seeming to expect us to admire him for this openness. He seems to have led a pretty chaotic existence all-in all, and his accounts of all the infighting and squabbles that were part of cultural and literary life did become rather tiresome in the end. But he did seem, as he aged, genuinely to espouse the idea of the simpler life, away from the centre of glittering French high society, although his idea of simple didn’t really match mine, rather like Mrs Dashwood’s ‘cottage’ in Sense and Sensibility. It was a mildly interesting read but not one I’d really recommend unless you’re very keen on enlightenment philosophers. In the end, it’s writing of a kind rather too far removed from what we are accustomed to nowadays. Note to readers who may be interested: you can keep up with what I’m in the process of reading by seeking me out on Instagram, and you can follow me on Twitter too, if that makes your life any easier..
Not a place, I know, but an integral part of my travelling. I’m prompted to write this post after a real shock today. I’m part of a French conversation group which meets fortnightly to chat in French, as a way of keeping up our fluency with the language as well as to share stories and knowledge of that country’s culture. And from a visitor, we learned that a local secondary school with a very good reputation and the largest associated sixth form in the country – some 1200 students – has just three dozen, across two years, studying a modern foreign language. Five of these are boys, apparently. I was horrified. I’ve written before about my encounters with different languages from my earliest days, and my fascination with them, of my good fortune in having an excellent French teacher at school and the moment of epiphany when I realised I could communicate in that language, with it native speakers. I’ve also realised that as a Brit who has the steering wheel on the wrong side of his car, and has to drive on the wrong side of the road while in Europe, that the ability to understand the roadside furniture is one of the things that helps with the slight strangeness of driving there: I’m in France so I do French and that includes driving French-style, if you see what I mean. Clearly I can manage in France, and that means Belgium, too (once a Flemish-speaker realises you are a foreigner rather than a francophone Belgian being rude, you are OK, though I can just about get by in Flemish), and parts of Luxembourg and Switzerland. French also helped me in Morocco many years ago. I’m okay, if a little rusty and ungrammatical, in German, and that does for the rest of Luxembourg, Austria and some other bits of Switzerland. I used to be able to get by in Italian. I have a project for a tour of Spain, and am very much enjoying the challenge of learning Spanish at the moment. I’m seriously lacking confidence in that terribly complicated language which is Polish, and have relied on people there speaking English or translating for me. I don’t like this; I can understand quite a lot of the language, but constructing sentences of my own is very hard indeed. It is hard to put into words – even for a former English teacher – the fun and the pleasure that my engagement with languages has given me over the years, and how much it has enhanced my enjoyment of my travels: a dish or a drink recommended here, a place to go and visit suggested there, extra help or advice from a tourist office or a guide, a friendly conversation that rounds off a pleasant day. It’s hard living on an island. Students didn’t have much money in my day; true, you were given some, in the form of a grant, rather than lent more to saddle you with debt at an early age as today’s students are, and you could sign on as available for work and claim supplementary benefit during all the vacations. This was in the days before cheap coach travel and the invention of the student rail card, so a goodly number of us resorted to hitch-hiking as a means of travel. It cost you the bus fare to the edge of a city and then thumb out, with a destination sign to be helpful if you were organised, and off you went… Some days you were lucky and reached your goal as quickly as if you had been on a train, other days it was a slow and painful collection of short lifts, perhaps standing for ages in poor weather. But most of the time it was fun: I met lots of interesting people who stopped to give me lifts, both lorry drivers and car drivers. Conversations were interesting: justifying one’s existence as a student of English Literature to a lorry-driver who was supporting me through his taxes could be a challenge… My one regret was I never got a lift in a Rolls: I met several people who had. I’m aware that it was probably safer for males, particularly travelling alone as I did most of the time; nevertheless I did meet solo female hitchers fairly often, and they always got picked up first. And in all my years of hitching – about ten, in all – I can only recall two dodgy lifts. I used to hitch around Western Europe during my summer holidays. It was relatively easy in Holland and Germany, OK in Belgium although the police were quite heavy about where you happened to be standing, and in France it was very variable: it could take ages to get anywhere, or it could be very quick, but lorry drivers never picked you up; I gather this was something to do with insurance over there. There was a great feeling of freedom: with my necessary worldly goods – tent, sleeping bag, snacks and water – in a rucksack, I’d set off in the morning with an idea of where I intended to get by the evening, but willing to be flexible. I sometimes encountered great adventures: once, heading north from Provence I got a lift with several students, intending to stop off and look at Montelimar. I was told Montelimar was dull and boring (I really don’t know, as I’ve never been there) and invited to join them for a few days up in the mountains of Savoie. Why not, I thought? And had a marvellous time, ate fondue for the first time, went above the snow-line for the first time, stayed in a lovely free campsite near the Italian border, and did some marvellous walking. I’ve been fed for nothing, offered spare beds for the night, discovered places I’d never otherwise have gone to, had fascinating conversations, spent a drunken evening trying to outwit the French Foreign Legion (not on my own, I had a drunken Belgian companion)… it was truly a marvellous way to travel, meet people and have fun. Halton is the only other village I’ve ever lived in, apart from Easton-on-the-Hill. For someone who has now lived half his life in Yorkshire, and feels entitled to Yorkshire citizenship from my East Riding mother, I have a strong affection for Lancashire, where I lived for all of four years. A lot of this has to do with the cheese – those who know me will understand! – for me only Stilton can rival strong Lancashire cheese from the city’s market, among English cheeses. I moved to read for my MA at Lancaster University and found myself living in this small village a couple of miles outside the city, an easy walk home after late nights up to no good in the city itself. Countless times I walked back through the pitch-black night, down the track to Denny Beck and across the single-track bridge into the village. The village lies on the Lune, a lovely river, and the starting place of many walks in those happy and carefree student years. There were footpaths on both sides of the river, as well as the dismantled railway track, and Caton, the Crook o’Lune and Hornby were not that far away. I did those walks countless times in all the seasons of the year. In the other direction, as I recall, the coast at Bolton-le-Sands and Hest Bank were similarly close. The village had two very friendly pubs – probably still does – which enjoyed our regular custom; there was a grocer’s, newsagent’s and a post office, so everything was catered for; two bus routes linked it to the city. There was a village church which I visited, because I always do, but I can recall nothing about it at all. Our house was cosy, comfortable, and where I fell in love with attics; since then whenever it has been possible I have had an attic man-cave. I can’t really separate Halton from Lancaster itself; there was the university where I learned about research, and Lancaster Community Project where I worked as a volunteer for a couple of years – a community playgroup, cafe, bookshop and wholefood shop, and where my vegetarianism was conceived and consolidated. All-in-all, my time there was important in turning me into who I have become, shaping different aspects of me and my life, and I remember my time there with great affection. Gdansk is probably one of my most favourite cities anywhere. I first went there on my very first visit to Poland at the age of fifteen, so way back in the days of the communist People’s Republic; this was also round about the time when I first came across it as the setting for Gunter Grass’ novel The Tin Drum, in its pre-war incarnation as the Free City of Danzig. Gdansk is now also home to its very own Shakespeare Theatre and annual festival: apparently, in Shakespeare’s time, when the London theatres were closed by the plague, as they often were, Shakespeare’s company visited Gdansk and performed there a number of times, although there is no record that the dramatist himself ever went with them. And following in the footsteps of London’s Globe Theatre, the Poles recently succeeded in completing their own tribute to those times. Why do I like it so much? It’s a walker’s city, with beautiful views along and across its many waterways which give that part of it a very spacious feel; strolling down the streets of merchants’ houses there is so much to see in the architecture and decoration – all the buildings are painted; it’s a city full of history and monuments. There is the famous Polish Post Office, which held out at the start of the Second World War and is immortalised in Grass’ novel, the site at Westerplatte where the Polish garrison withstood German fire for days that September, and of course the famous shipyards that were the site of the birth of the Solidarity trade union movement in the early 1980s. There are also a couple of excellent micro-breweries. It was Grass’ novel which fed my interest in the city over the years. The Tin Drum, and its sequels Cat and Mouse and Dog Years, are rooted in the past incarnation of the city as much as Joyce’s Ulysses is embedded in Edwardian Dublin. The Free City of Danzig, created by the treaties at the end of the Great War, lay at the mouth of the mighty Vistula river and on the edge of the infamous Polish Corridor, which granted the new nation access to the sea. You can follow the adventures of Oscar Matzerath and his family and acquaintances on a pre-war map; although the city had to be rebuilt post-1945 and all its streets, places and monuments acquired Polish names, these are for the most part the exact counterparts of their pre-war names; the city was both German and Polish, and in some ways Grass’ novels are as much of an elegy to a lost world as are novels like Lampedusa’s The Leopard or Roth’s The Radetzky March. Today’s citizens of Gdansk realise that Grass is an asset for the tourist trail; there is a Tin Drum restaurant, and various places associated with Grass’ childhood are marked out for the visitor. It is a wonderful place, one to which I hope to return again and to spend more time exploring. The craziness, rank insanity even, that seems to have gripped Britain and the US over the past months has shocked me deeply; it’s also recently set me scanning my bookshelves looking for the literature of strangeness, madness and insanity: and there’s plenty of it. Let’s start with two novels whose narrators are both involuntarily interned in some kind of mental hospital, from which they tell their stories and communicate their opinions: Gunter Grass’ The Tin Drum, obviously, and Siegfried Lenz’ The German Lesson. Grass particularly, in all his work, was keen for Germany to come to terms with its horrendous history; the European project, flawed though it is, has been part of ensuring peaceful co-existence in our continent for several generations. Two novels that present us with a world where insanity has taken over: the second volume of Anatoly Rybakov’s stunning Arbat trilogy, Fear, shows us the lives of a group of Muscovite students during the time of Stalin’s purges and show-trials, a world in which nothing makes sense and there is no way to save yourself if you have been randomly marked out for doom. Similarly, Jonathan Littell’s award-winning The Kindly Ones takes us inside the mind of a German intellectual who is one of those engaged in planning and carrying out the extermination of the Jews: we see how his work ‘makes sense’ to him inside his own Nazi bubble, and it’s the stuff of nightmares. Because these are both based on actual events, somehow Kafka’s The Trial pales a little alongside them, even though the inescapability of K’s situation is what really terrifies. But again, the Albanian Ismail Kadare’s novel The Palace of Dreams with its similar trope, is again rooted in reality, and gains more power from this. It’s not only twentieth century writers who confront us with madness: Lear’s Fool has the licence to say anything, and tells the truth to power, and in the end dies for it; in Nikolai Gogol’s Dead Souls, there is business to be done and profit to be made from the selling of dead souls – non-existent serfs – in tsarist times. 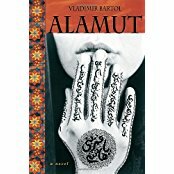 In Alamut, by Vladimir Bartol, a twentieth century writer who sets his tale back in mediaeval times, we are with the sect of the assassins, apparently so in the thrall of hashish that they are prepared to sacrifice their lives committing deeds ordered by their master, because the mythical heaven with its freely available virgins awaits them. Ben Marcus, an American writer, approaches strangeness from another angle, removing the usual and commonly accepted sense and meaning from words and imbuing them with different ones, torturing our minds and creating a semi-hallucinatory effect in his narratives: The Age of Wire and String is a truly weird read, which you cannot take too much of at once… when even the language does not behave in the ways you expect, then we really are lost.